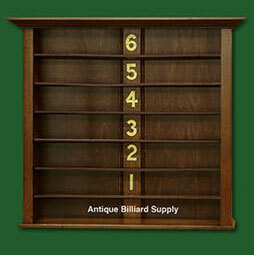 #6-17 Excellent example of an early Brunswick ball rack. Six-shelf model nicely restored with medium brown finish. Solid oak construction with gold leaf numbers on vertical rear panel.